Transdermal Medications – Great Option and Available if your Cat needs them! 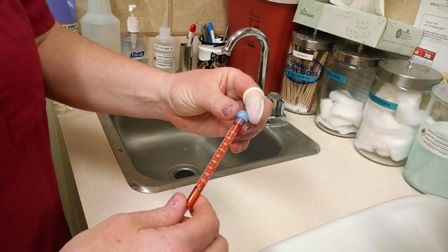 As veterinarians, we are trained to easily administer medication to animals, whether it is by pill, injection or IV. However, when a client is faced with administering medication at home, oftentimes there is a feeling of dismay – how can they get their pet to swallow that pill? We’ve all heard the stories about how hard it is to “pill a cat.” Now we have an alternative solution. It’s called transdermal medication. Transdermal simply means the application of a medicine or drug through the skin. The drug is specially compounded by a pharmacy into a cream that can be easily applied to your pet’s skin, typically the ears. 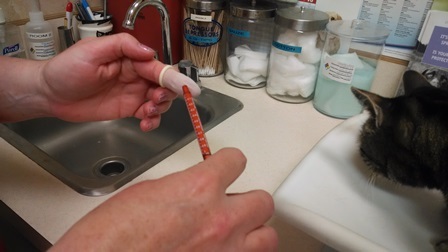 It is applied by the use of a metered dosage syringe so the proper amount is used at the recommended time. 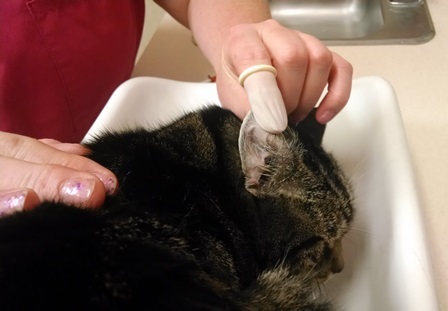 When the medication is applied to the inside hairless flap of the ear, it is easily absorbed into the bloodstream without the pet or owner feeling unnecessary anxiety. In addition, because the medication bypasses the stomach and intestines, there is less chance of GI upset. At the Belle Mead Animal Hospital, we have a number of medications available in transdermal form. We stock some of our most commonly requested medications, usually for cats. They include methimazole (to treat hyperthyroidism), amitriptyline (to manage behavioral issues and provide pain relief), prednisolone, fluoxetine (Prozac), amlodipine and benazepril (for blood pressure regulation), famotidine (Pepcid), mirtazapine (appetite stimulant), enrofloxacin (antibiotic). Not every drug available can be compounded into transdermal form. The way each drug works, whether oral or transdermally, varies in each individual pet. Many factors can influence the body’s ability to use a drug whether applied on the skin or given orally. Some factors may be age, hydration status, effects of illness, etc. Your veterinarian will try to take everything into account. Then it is up to the owner to work closely with their vet to monitor results. If your pet is placed on a transdermal medication and fails to improve within a designated time period, the medicine may need to be adjusted or administered orally. Remember, your vet is just a phone call away, and monitoring with occasional blood tests can really help guide efficacy. It is also important to follow your veterinarian’s instructions on where to place the medication on your pet’s body, usually the ear. You will be provided with free protective finger gloves to avoid being exposed to the medicine yourself while administering it to your pet. Throw the tiny glove away after use, and use a new glove each time. After you’ve administered the medication, you can reward your pet with a toy or a treat. Using a reward is an excellent training technique that can help teach your pet not to fear the application of medications. Transdermal medications are an excellent alternative for some veterinary drugs, and our options are increasing each year. They are slightly more expensive but can be lifesaving and worth it when your cat can’t take a pill or refuses a pill pocket. Talk to your veterinarian to determine if a transdermal medication is appropriate for your pet. 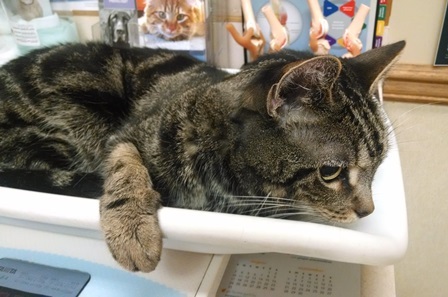 This entry was posted in General Pets, Veterinary Medicine, Veterinary Services and tagged Cats, Felines, Veterinary Medicine. Bookmark the permalink.